The following is a guest post by Amanda DeSilvio. 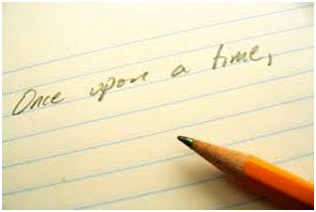 Many first time authors begin writing in addition to having a full-time job. It can be tough to make ends meet, so dropping everything to pursue your dreams of becoming a published author isn’t always a realistic choice. However, any published author will tell you that finally publishing your work is a full-time job, even if you don’t get paid during the process. The whole idea then seems like a catch 22, leaving many authors asking that inevitable question: How do you know when it’s time to making writing your full-time job? 1. The nature of your full time job matters. It completely depends upon the nature of your full-time job. For example, those who sit in a cubicle and write for a company all day might want nothing more than to come home and do anything but write; however those who are on their feet all day might come home and see writing as a relaxing activity. Those in the latter position might be able to get away with keeping their full-time position for longer than those who have a difficult time writing after work. 2. Consider how long it will take you to write/edit before you begin the publication process. This may sound obvious, but many writers don’t consider the sheer amount of time it takes to self-publish their work. Writing something to be published is a long enough process, but the steps you need to take once the writing is over are often overwhelming and time consuming. Writers should determine an approximate timeframe before making the decision to quit a full time job. For some, knowing how long (or short) it might take will help clear things up and make the decision easier. 3. Ask yourself how long you want to be working on your project. Some authors feel comfortable taking longer to publish their work. If you’re hoping to self-publish for personal reasons, you might feel fine taking longer to make it happen. If you’re hoping to make money off of your published work and make it a career someday, however, it might be time to take that risk and quit your full time job. As long as you are smart and understand the risk an author takes when he/she quits a full time job, becoming a published author is incredibly rewarding. Many authors have published projects while still maintaining a full-time job for stability — although it may have taken a bit longer, this works for those of us with bills to pay! How did you (or would you) decide when to quit your full-time job? If you’ve made the switch, how has it turned out? Let us know your thoughts in the comments below! Amanda DiSilvestro is a graduate of Illinois State University. Although she graduated with an English Education degree, she found herself working as a full-time blogger at HigherVisibility. Connect with HigherVisibility on Google+ and Twitter to learn more! I’m definitely not a full-time writer yet, although that would be awesome and my ultimate dream. I think I would start when I see that it’s paying the bills consistently. Say a few thousand dollars a month. I want to make a living off of writing so that would be my requirement. Meanwhile, that motivates me to keep working hard! Exactly, Yesenia. I think too many authors want to go immediately from making nothing to writing full-time, and it’s just not feasible. Focus on gradually increasing the income you receive from writing, stay motivated and eventually you’ll get to the point where you can do it full-time! Taking the risk to give up a well paying job to write full time is a scary prospect when you still have financial commitments like college fees for kids and house payments.